I like how 'Making games for the Atari 2600', features a character quite obvious supposed to be Mario. I'm struggling to id the dragon though. Retro Game Dev: C64 Edition build two games (shooter/platformer) in 6502 Assembly Language for a Commodore 64 emulator. 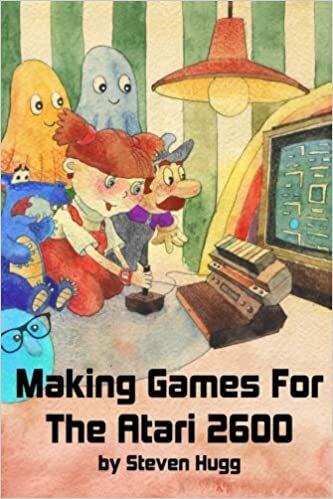 Some other similar books are Making 8-bit Arcade Games in C and Making Games for the Atari 2600.